Attentive listeners are usually good learners. Unfortunately, many students have poor listening skills, which can be very problematic because students spend considerable time in classrooms listening to lectures during college. Many students believe they are good listeners, unfortunately they don't fully appreciate the difference between hearing and listening. Attentive listeners not only hear, they effectively process the information presented to them. Listening for meaning is a form of active listening. Active and attentive listeners not only pay attention to words, they also focus on the intent of each word–the message a word is intended to communicate. To decipher messages, first determine the central idea being communicated. Then pay close attention to anecdotes, explanations, and other details meant to clarify meaning. While you work to improve listening skills, always pay close attention to the central focus of what is being relayed. While you're listening, and after the listen task has ended, check your comprehension. Did what you learn make sense within the context of the topic or central idea being communicated? 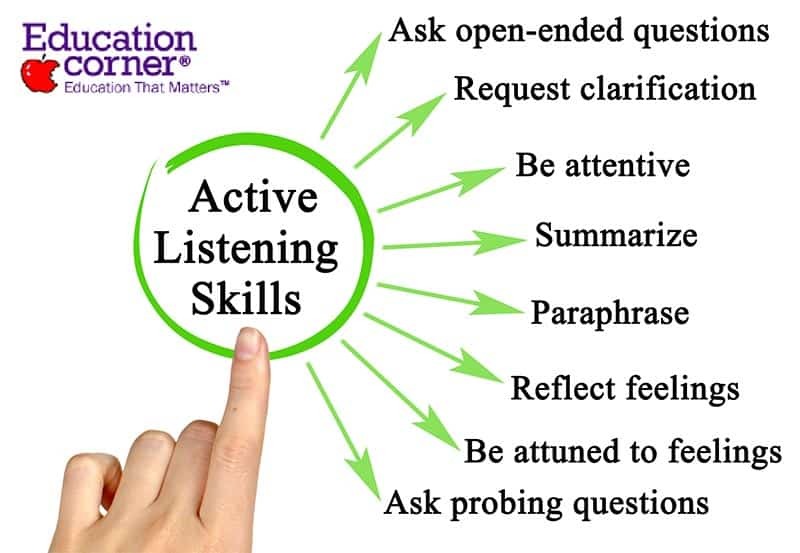 Monitoring and checking comprehension makes sure that you're active listening strategy is working. Ineffective listeners often attempt to jot down every detail from a lecture. They are under the impression that a detailed outline equates to good notes. Students who utilize this strategy often get discouraged when they review their notes only to find the breadth, detail and lack of focus in their note-taking is confusing and leaves them unable to identify central themes and important topics. Effective listeners adapt their note-taking to the teaching styles of their teachers and lectures. They focus on central ideas and jot down details that expand on, or clarify, the central concepts of a lecture. It's not uncommon for students tune out professors when they start discussing confusing or complex topics. Even when it's possible to hear every word during a lecture, it can be very difficult to process confusing or complicated concepts. Good listeners harness their mental faculties to process what is being presented. People who struggle with listening often have a difficult time concentrating. Good listeners must work to develop the ability to concentrate and ignore distractions. This requires the ability to tune out personal worries, thoughts about family members and friends, and thoughts about upcoming activities. Those who can hone the ability to concentrate can improve listening skills. If you do not complete required reading or review notes from previous lectures prior to class, it is very difficult to process information and attentively listen to lectures. This is why you should never neglect to complete reading or other class assignments. Attending a lecture prepare provides you the background knowledge required to be an effective listener–and an effective student. One of the keys of effective listening is the ability to concentrate on central ideas and main focuses. It is a mistake to only be concerned about facts and extemporaneous detail during a lecture. In other words, effective listeners focus on the stories or ideas behind the facts. They then are able to pick up on the supporting fact, details and evidence for the main concepts, ideals and topics being discussed. Many people tune out lectures because they're bored or disinterested. As a result, they neglect to take notes on key concepts. Effective listeners become interested in the subject material, so they can process the information and pay attention to classroom lectures. Human beings learn best when they place what they’re learning in a context. 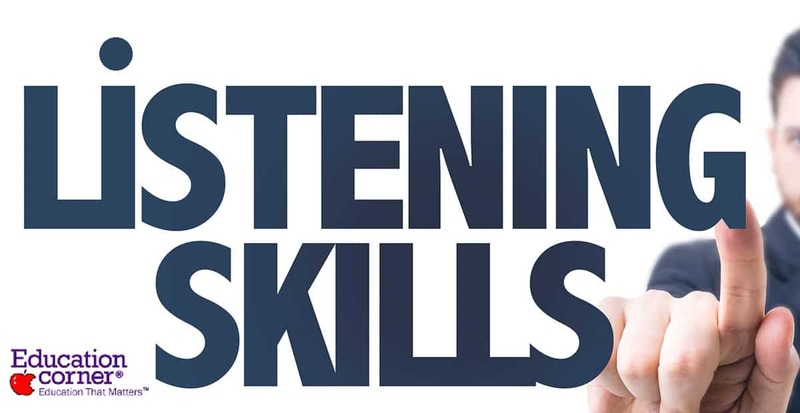 One way of improving your listening skills is by actively engaging with the new material that you’re learning. This can be done by linking what you’ve learned in the past with what you’re currently learning. As you’re listening to new material, situate what you’re learning in the context of what you’ve previously learned. To use history as an example, the Revolutionary War didn’t just happen without surrounding historical events. Leading up to the war, colonists were angered by the housing of British troops in their homes and taxes that were placed on their earnings. At the same time, Britain was involved in international conflicts with other countries, such as France. We can use all this information to put the Revolutionary War into a proper context. This information helps us to understand some of the motivations behind why the colonies rebelled, why Britain was taxing them in the first place, and why France joined in on the side of the colonies during the war. This is only one example of how contextualizing learning can help encourage improved learning outcomes. In science, students can link what they’re learning about biology to previous lessons about simpler organisms. In math, in particular, students need to draw upon techniques they’ve previously learned to better understand how to approach existing problems. Contextualizing what you’re currently learning against what you’ve previously learned can be key to remembering new information. It’s easy to get into bad routines while you’re in class. Your attention may start to drift and your mind way wander. You may find yourself staring out of a window or slouching in your chair. In a worst-case scenario, you may find that you’re falling asleep as a lecture continues to go on. This is why being physically ready is an important part of listening. Being physically ready starts with good posture. Make sure that you’re sitting up straight instead of slouching or getting too comfortable. Maintaining good posture can be an important part of staying alert during a lesson. Afterward, make sure to keep your eyes focused on your instructor and maintain eye contact whenever possible. Simple things like this can raise our alertness and help us stay focused on what is being said. By keeping your eyes on your instructor, you’ll also be less likely to miss critical information that’s presented on the board or using projection slides. You’ll be more likely to catch helpful visual information that your instructor is drawing your attention to instead of missing out. Good posture and eye contact is therefore helpful not only because it keeps you alert, but because it helps ensure that you don’t miss out on critical information. Part of listening includes understanding when you’re not quite understanding a certain topic or concept. When this happens, it’s important for you to ask questions to help clarify what is being said. All too often, students are too unsure or shy to ask questions. The truth is that most teachers are happy when students get involved and ask for clarification, so don’t be afraid to ask your instructor for more clarification if you’re not quite understanding a part of your lesson. An important part of staying focused and listening attentively is making sure you don’t have any distractions. For this reason, you’ll want to put away any unneeded materials when you’re sitting in on lesson. In particular, you’ll want to put away distracting devices, like mobile phones or tablets. With their connection to the internet and ability to get you in touch with friends, these devices can be particularly distracting. However, you won’t want to stop there. You’ll also want to put away excessive materials, like books and study materials from other courses, that might take your attention away from what you’re currently learning. Eliminating all these distractions can help you stay focused on your current task. You’ll also want to avoid sitting with friends in many cases, unless you’re sure that you have the discipline to stay focused when you’re around people you know. For many people, friends end up being a distraction because they end up talking with each other or even quietly communicating in non-verbal ways. Even a few extended moments like these can end up with you missing critical information that an instructor is presenting. So, particularly if you know it’s hard for you to stay focused, you’ll want to sit away from friends in an effort to maintain your concentration. Students are in classes all day, then have homework to take care of at night. They have studying they need to do for tests, and activities on campus they need to get done. In between all of this, it can be easy to forget to eat right and get enough sleep. Unfortunately, doing so can make it that much harder for you to listen in class. A lack of sleep is one of the biggest reasons that students fail to concentrate in class. It’s hard to listen, after all, when you’re struggling to stay awake. Nutrition also plays a role in keeping alert. Good, healthy eating can help you feel more energized and attentive during your lectures. You’ll want to make sure that you’re eating right and getting enough sleep if you want to be at your best during class.